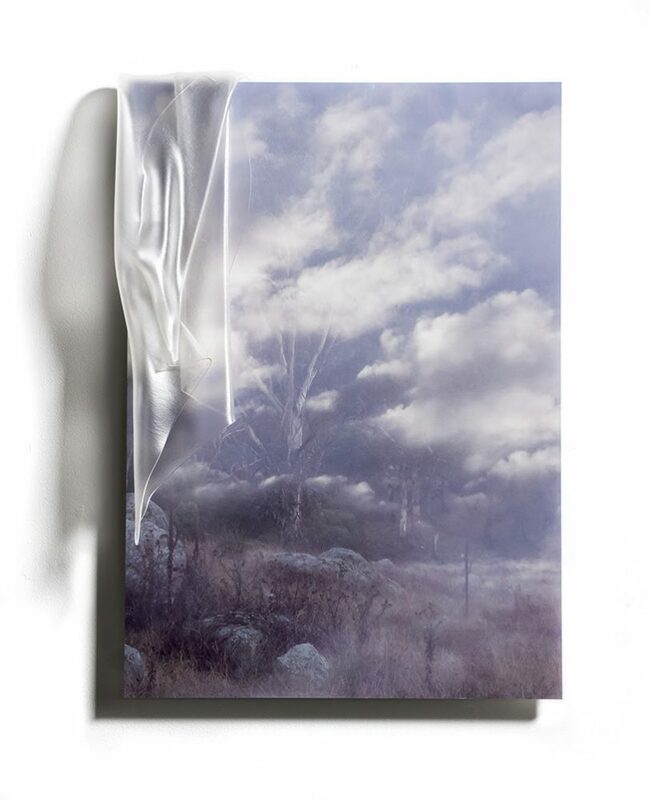 Kirstie Rea, Envelop 1, 2018, glass, digital print, 18H x 82W x 16Dcm. Photo: Supplied. With the cold weather and shorter days comes a quality of light that casts the landscape into the realm of ephemeral – fleeting glimpses of place. As you head out of town in any direction the landscape unfolds in subtler tones than under a harsh summer sun. It is apt then that Bungendore will be the venue for an exhibition that is focused on light. Canberra based artists, Kirstie Rea and Lucy Palmer, use glass for its transparency, fragility and optics, each exploring the concepts of seeing light and capturing a fleeting moment. Kirstie Rea creates sculptural and photographic works that bring together her extensive technical glassmaking skills with a deep conceptual understanding of place-making. The interplay of photographic imagery and layers of textured glass creates a feeling of gentle movement, capturing a moment in time while acting as a reminder of the motion of the body as it passes through the landscape, breathing in the surroundings. Lucy Palmer, Aerial Perspectives (detail 1-7), 2018, kiln formed and constructed glass. Photo: Supplied. Lucy Palmer creates small sculptural, coloured lens-like works which capture the light and quite literally change before our eyes as we move around the gallery. The interaction of glass and light compels the viewer to see the physical object and the refracted light that is created. These interactions are playful, mesmerising, or delicate, depending on the time of day or type of light. The exhibition is curated by Aimee Frodsham, Art Director at Canberra Glass Works. Frodsham says “the pleasures of being in the moment and taking time to observe the beauty in small details around us are brought into focus across this exhibition”. Kirstie Rea is a locally-based artist with an established international profile. Her work and teaching have been highly influential over many years since establishing her studio in 1987, following her graduation from the Glass program at the Canberra School of Art. 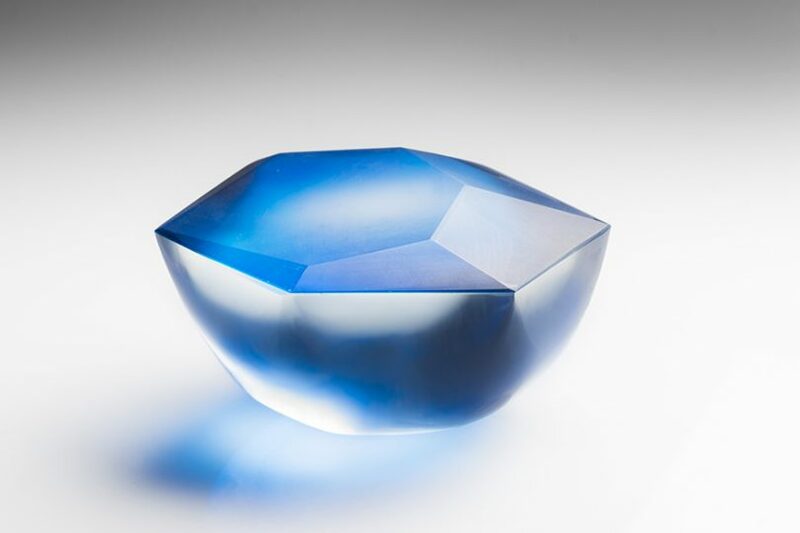 Kirstie has continued to develop her practice over the past 30 years, exhibiting internationally as well as being included in numerous Australian Glass survey shows. Kirstie has had solo exhibitions in Australia, the USA, New Zealand and Hong Kong. Her work is included in international collections such as the Victoria and Albert Museum (London), the National Gallery of Australia and the Alexander Tutsek-Stiftung Foundation (Munich, Germany). Lucy Palmer graduated with Honours in Visual Arts, specialising in Glass, from the University of South Australia in 2014. Currently working from her studio at the Canberra Glassworks, Lucy strives to utilise the unique qualities of kiln formed glass to create an illusory sense of distance and depth; depicting vast landscapes, expansive skies and the quiet horizon where the two dissolve. Her inspiration derives from an interest in the incredible potential of distance and space to draw the viewer away from their immediate physical environment and allow the mind to escape. The exhibition will run at Suki & Hugh Gallery from 30 June – 12 August 2018.
courtesy of the artist and Suki & Hugh Gallery. An opening reception will be held from 3:00 – 5:00 pm on Saturday 30 June. All welcome.